Though Toyota and Nissan jumped headlong into the compact/mid-size pickup-truck market with body-on-frame designs, Honda took a different approach and created a unit-construction crew-cab configuration based on its popular Pilot SUV. The 5-passenger Ridgeline has a car-like ride, good handling and fuel efficiency on par with most mid-size SUVs. My favorite part of it is the push bar I've had put on it. It is the best car I ever had it has a sunroof it came with electric start, leather seats, the best thing I like is that it has a trunk and it can be used for tailgating because it has a plug that you can unplug after you are done using it the water in it drains out into the street, also has a GPS and a 5 disk CD player. Rides really smooth and it's easy to get into if your older, my 90 year old mom had no trouble getting into it. Great on gas too seeing it only has a 6 cylinder. So far I haven't had any problems with it. This is the second truck like this I've had and would only get this kind again. Just love it. My Honda ridgeline has been a very sturdy and reliable vehicle. It is a mid sized pick up that holds plenty of cargo, yet is comfortable to drive. The seats are not very comfortable for long trips. This particular vehicle does not have Bluetooth which is inconvenient in this day and age. Other than that, I have been very satisfied with the way this vehicle drives, it is reliability, appearance and performance. It's a truck that drives like an SUV. Love that it has a trunk. 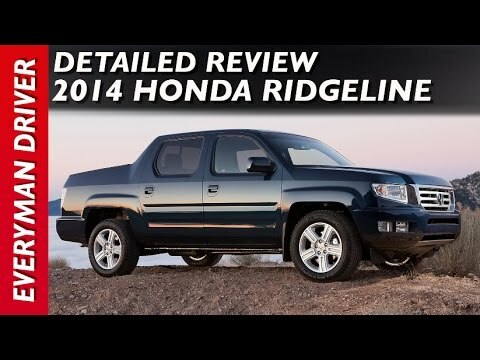 The Ridgeline is the truck for people that don't want the rough ride or size of a real truck. Drives great and has more interior room than a small truck. The trunk is an awesome feature. The all wheel drive and OEM Michelin tires work great in all weather and conditIons. It has Honda's reliability. Could use better fuel mileage.